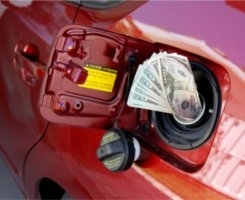 Automobile sales plunged this summer due to the high price of oil and the short supply of fuel-efficient cars. If you’re looking to nab a new set of wheels, work this recent slump in the car industry to your advantage. Go green. Fuel efficient cars are the new frontier, and they’ll be a huge investment in the long run. Seriously consider getting a hybrid; who knows if gas will get cheaper any time soon. Stay away from SUVs. There is no reason why anyone would need an enormous gas-guzzler right out of college. Not only do these tanks cause the sky to fall down behind you, but the amount of fuel they devour is simply not affordable. Foreign whip appeal. While sometimes it pays to be patriotic, think twice about buying from the traditional Big Three US automakers. Asian cars are generally more fuel-efficient and have more hybrid options than their American counterparts. Less is more. Ever noticed how in Europe everybody drives the real-life equivalent of a Micro-Machine? It’s not a fashion statement. Small cars have better mileage (i.e., they're cheaper at the pump), so swallow your pride and opt for less space. Your wallet will thank you. Can you really afford a car right now? If you live in an urban area where public transportation is good, maybe you can get by sans wheels. Read these guidelines for determining if you need a car. For more info on how to buy a car, check out one of our survival guides.